Improve the utilization of all resources (people/ assets / time) to deliver lower cost and higher quality products, services to your customers in the shortest time possible. Ensure that consistency of approach is paramount: your processes form your business. Our manufacturing consultants help you simplify and connect those processes. The interrelationships of all your functions and your supply chain – not only your shop operations – affects your ability to manufacture profitably with minimal changes and interruptions. This elimination of waste translates into less cost, faster output, lower inventory, higher profits and more repeat orders. We incorporate LEAN methodologies, along with Six Sigma rigor (where appropriate) to enable your business to create a manufacturing strategy along with solid tactics to increase productivity, quality, market share and profitability. 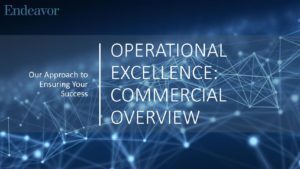 We’ll show you how to achieve a transformation of your operations and people to execute these plans in achieving new levels of excellence. 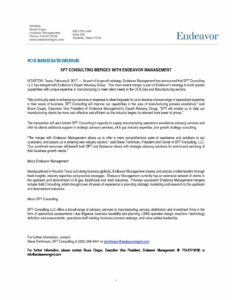 Endeavor Management uses proven assessment tools and industry expertise to layout your processes and team interactions for manufacturing operational performance. We offer a wide range of operation and manufacturing consulting services, focusing on machining, fabrication and assembly businesses. We work with Corporate leadership /Equity Partners as well as front line -management and operations associates. Our industry experience ranges from fluid power to power generation to oil and gas to aerospace to electronics assembly. We have worked extensively in all operations with a vigilant eye towards health and safety as well as throughput and profitability for manufacturing operational performance. We provide business / strategy planning, plant assessments for both due diligence and optimization, plant layout thru LEAN design, machine tool and technology selection / application, front line management training, key metric tracking design and staff training / coaching. Your needs become our sole mission. Our objective is to execute with speed, create habit forming disciplines in your shops and functions while maintaining 100% compliance and safety. Our industry experience ranges from fluid power to power generation to oil and gas to aerospace to electronics assembly. We have worked extensively in fabrication, machining, assembly and test operations, with a vigilant eye towards health and safety as well as throughput and profitability. Our approach begins with understanding your business objectives, and baseling your present operations. We move to defining opportunities, and setting improvement priorities. All these actions come to together with action plans for you and our consultants to attack. Our team consists of busing consulting experts in all areas of manufacturing operations leadership, manufacturing project management, industrial / manufacturing engineering, health and safety, change management, LEAN and Six Sigma design and implementation. We have held positions from operator to foreman / methods man all the way to VP manufacturing and COO. “WE HAVE BEEN IN YOUR SHOES”. The health and safety of all employees and those who interact with your organization such as customers and suppliers, must be a core principle. An effective safety program strategy will lead to higher morale when it is evident that ownership/management has prioritized the well-being of the team and their respective families. It should be part of a daily rhythm just as any other important aspect of your business. As you might expect, there are many other benefits to your business as a result of having appropriate safety policies and programs. 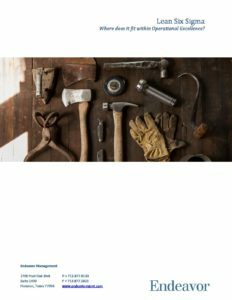 With an effective program, areas such as manpower capacity planning is considerably more predictable, related operational costs are minimized, and insurance experience rates are more favorable to your business. Finally, by advocating and clearly supporting a safety culture for your business, the organization’s reputation with employees, customers and the community as a whole is favorably recognized. By working with our team, you will be able to gain insight and knowledge into multiple decades of experience in the area of leading organizations focused on safety as a priority. We can quickly assess your present program, identify gaps and provide direction on next steps to improve your performance while increasing production. An effective materials management program is essential to a customer responsive and financially successful business. With a robust materials management approach, organizations can realize many benefits such as outstanding customer service levels, lower product cost, optimal supply chain and greater cash flow as a result of higher inventory turns. By working with our team, your materials management program can be quickly assessed, areas of opportunity determined and action plans generated which best serve your organization. We will focus on areas such as inventory accuracy, bill of material structures, lead-time offsets, make / buy decision making, material traceability and procurement execution just to name a few. With the assistance of our team, your materials management program can be a tremendous asset to your business. One of the most significant challenges facing all businesses today is the availability, assimilation, training and retention of talented and engaged employees. As we know all too well, our businesses are only as good as the people we employ. While standardization and leaning or process can minimize the impact of variation in our workforce, educated and engaged employees are “where the rubber meets the road”! It’s obvious that our capacity and quality is hinged on this employee team. The first step in attracting employees is to have a positive visible image as a company to them. Tools such as the internet and social media can help broadcast an image and show our Mission, but our existing workforce is their most powerful tool in that regard. How do they view working in the business? Are they a promoter or a detractor? So understanding our teams attitudes (and addressing them where required) is vital. Accurate job descriptions, clear roles and responsibilities and a thorough understanding of the “customer / supplier relationship” both internally and externally not only will improve employee attitudes, they are key to a well-functioning operation. Once an employee is engaged with your company, the on-boarding, training and communication of clear goals, expectations and measures is paramount. An enthusiastic new-hire can quickly turn sour if any of the above is treated in a cursory fashion. We at Endeavor can help in all these regards as well ensuring your supervisory staff is equipped with the training and tools including state of the art HR systems to effectively deal with all employee issues. At the heart of any ongoing enterprise or improvement activity is the clear and unambiguous communication of the organizations goals to all the stakeholders. In order to be effective it’s important that the audience’s perspective is understood, the message is relatable (“what’s in it for me”), clear expectations are set and ongoing status / updates are given. Management needs to ensure that all are aligned to our goals. In simple terms, this means “line of sight” connection from every task to the top level objectives. Our goal is to ensure that every employee knows the goals and how he or she impacts them. These goals are the KPI’s (key process indicators) of the enterprise. Once understood, ownership and commitment by employees can be gained, nurtured and reinforced on a daily basis. This employee buy-in is reinforced through effective two-way communications in an open and transparent atmosphere. These interactions will provide not only updates, but suggestions for improved processes and procedures. In order to secure and cement this dialogue, speed of response is paramount. Regarding the shop floor or functional areas such as drafting, engineering or even sales, cross -functional support teams aligned to the objectives and who support the process ‘doers’ are very effective. We encourage and design visual controls for both goal setting and achievement accounting. In order to make this happen Endeavor trains your teams in simple yet effective “FRONT LINE CONTROL” methodologies that link to visual communication. Our mantra is ‘every day lost is one never recovered’ so we stress daily rigor in this practice. An engaged workforce is an effective workforce that becomes your best marketing / sales tool. “Switched-on” and enthusiastic employees not only drive improvement internally, they project confidence and trust to your customers. At Endeavor we’ve helped many companies (from billion dollar global players to small fabricating shops) in this crucial area. We can quickly formulate a plan, train and help drive implementation for immediate benefit. We’ve got a great story to tell…let us share it with you. In order to be a reliable and cost effective manufacturer, standardization, or PREDICTABILITY of every part of the business process is paramount. Lean manufacturing practices are built around the premise that Variation is the “root of all evil”. If you consider quality metrics for example, high performance cannot be attained without clear and well defined specifications. Once these are agreed upon, the customer’s perception of quality is your ability to meet those specs 100% of the time. Consistency of product or service deliverables is what he expects and is paying for. Without standards both in spec and process execution, this goal becomes futile. Also consider that the customer may not remember all the good service you’ve provided, he will definitely recall the times you’ve let him down (inconsistency). Standardization allows us to quickly analyze problems and defects in that we are dealing from a known baseline vs. a “moving target”. We help you to remove all the sources of variation to allow your business to perform perfectly on every order, every customer interface, every part, and every delivery. Less variation equals less rework which equals higher margins! Many businesses today experience “feast or famine” swings in demand on their production resources. Additionally, the ability (or inability) to properly and accurately understand the true capacity of the operation coupled with product mix issues, employee effectiveness, equipment downtime, supplier reliability, and the pressures of cost controls all add up to tremendous headaches (or worse!). 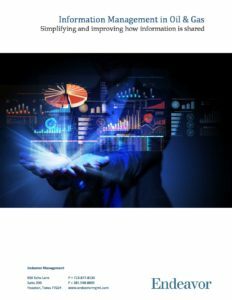 Understanding all these factors and being able to convert it to meaningful information has a direct impact on delivery performance, effective utilization of resources, and longer term business planning. Market intelligence plays a major role, but without accurate capacity planning, how does one make rational decisions concerning capital investment, inventory investment / timing and the like? Simple answer: you can’t! We will help you first set work standards for your products in a base measure that makes sense for your business. Then using Industrial Engineering rigor, we’ll design estimating and capacity planning tools around those standards. By testing our model; we’ll determine how much adjustment is required. At Endeavor we’ve seen many manufacturing operations who are experiencing problems and concerns like yours. We can quickly help you make reliable promises to customers at a cost you can afford. MOST IMPORTANTLY, WE CAN HELP YOU FIND CAPACITY IN YOUR EXISTING SHOP FOR NO ADDITIONAL CAPITAL COST. Engineering processes, either in a contract manufacturer or in an OEM form a vital backbone and establish the connection to customer requirements, clear and consistent standards, validating procedures, product cost breakdown structures, allowing for accurate inventory planning and communication of change. If these processes are not well executed, inaccurate quotes can be generated causing erosion (or total loss) of margins. The standards interrelate to the business capability / capacity needs in the form of equipment, manpower, supply base, required certifications, and facilities. Regarding engineering standards, we’ll think through the entire specification process. In other words, how do we structure New Product Introduction? How do we ascertain the commercial and technical viability throughput the process to ensure we are not “chasing good money after bad”? Drawing / Bill of Materials [BOM’s] systems and revision control must be maintained for quality as well as cost containment. We have tools and techniques to bring to bear, again, “right sized” for your business. We have seen many companies that execute well to this point that fail to communicate engineering changes to all affected functions regarding the impact / actions required. These failures result in wasted labor, scrapped parts, stranded inventory, and missed deliveries. We have lived the Engineering function, both from the “supplier side” and the internal customer view point. We have the knowledge, tools and drive to help you quickly make the improvements your business needs. An effective quality program is essential to the success of any business. It is a given and expected by any potential client that the level of quality with regards to products supplied or workmanship provided, meets or exceeds requirements. Customers come to trust that specifications will be adhered to by the partners they choose to work with. Products and Services provided have to be correct given safety, environmental and performance concerns. 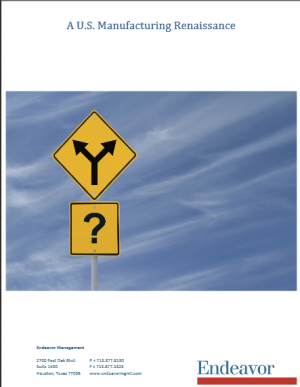 It is critical to fully understand customer desires and industry regulations so they can be properly interpreted and communicated to the organization for execution. A robust quality assurance and control program is essential in effectively making this transition. An effective program clear benefits can be realized such as consistent customer service levels and minimal cost when it comes to product warranty and operational inefficiencies. By working with our team, your quality program can be quickly assessed and a detailed next steps plan established. Key areas include engineering documentation, management reporting, cost of non-conformance, defect reporting, root cause analysis and finally corrective action. Our team is capable of reviewing internal manufacturing operations as well as overall supplier performance. There are many aspects to developing an effective quality assurance and control program. It’s important that management commitment and active engagement are clearly evident in developing a quality culture in your business. Effective Shop Floor goal setting, disciplines /controls, and communications form the foundation of profitable operations in any manufacturing business. This basic building block starts with every employee understanding the Company mission, goals, key measures and how he / she contributes in a “line of sight” fashion to those objectives. By first communicating the objectives and then through systematic alignment of all resources, improvements (and sustainability) in safety performance, throughput, and operating costs will be realized. Understanding the basic rigor required and making it part of the daily habits of all in the team is key. Once this is done, ERP / MRP can then be implemented. We start with training your leadership team to set goals, and to SUPPORT the operations with all the tools and materials required on daily basis to achieve the required outcomes. We stress simple, low cost systems to set and monitor activity, while implementing effective communications by all on the team. Our team will also help you optimize maintenance programs, lean out your process for shorter cycle and lower costs by evaluating and helping you eliminate all unneeded actions (including training) to achieve balanced flow with minimal defects. Our offering is simple, yet effective and “right sized” to your operation. With the use of established tools tailored to your business we will help you realize substantial benefits that you will see immediately. Manufacturers today face a number of obstacles to sustainability and growth. The reality of offshore lower cost completion, the volatility of given markets, the challenge of newly emerging product and processing technologies all equate to not just obstacles, but opportunities as well. Despite being business people, we are first human beings. And as such we tend to gravitate towards our comfort zones and be reluctant to change. That being said, given all the challenges above, it’s imperative to expand our thinking and actions. Have you taken on an objective SWOT (strengths / weakness / opportunities / threats analysis) of your business? Of your competitors? Have you thought through how your particular core competency could be adapted to other markets? Should it be readjusted to the present (perhaps) shrinking market? What is your business differentiator? Can you articulate your unique “value proposition” that will resonate with new customers? We’ll help you through these questions using classic tools and Endeavor’s Growth Playbook to allow you to grow in existing markets, tap into new industries for your business, and set a strategy / road map for execution all from the perspective of profitable manufacturing. Again like all our offerings, it is simple, cost effective and “right sized” to your operation. Don’t let inertia stand in the way of growing your business!